We've compiled a simple and straightforward guide to creating a summer photo book out of all your favourte moments. Choose a photo for the front cover that’s reminiscent of the beginning of a journey. We love the use of this winding road. It’s symbolic of the holiday to come. The addition of this globe background makes the page really stand out. 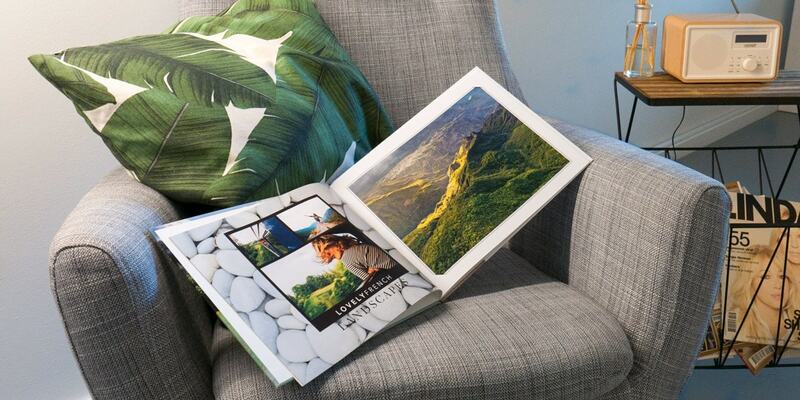 It’s perfect if you’re going to show photos of a few separate destinations in one book. There are hundreds of clip arts available in our creator tool so whatever theme your book follows there will be something appropriate. These holiday-themed ones are perfect next to your beach photos. Feature a series of photos from one day on a spread in your photo book. The colours will all be similar and it will start telling a story of your trip. Use some photos of epic landscapes and not just people. Try mixing different backgrounds (like this leaf one) with different clip art. Don’t be afraid to add more than one design feature to a spread, because as you can see on this page, it really makes the photos stand out. 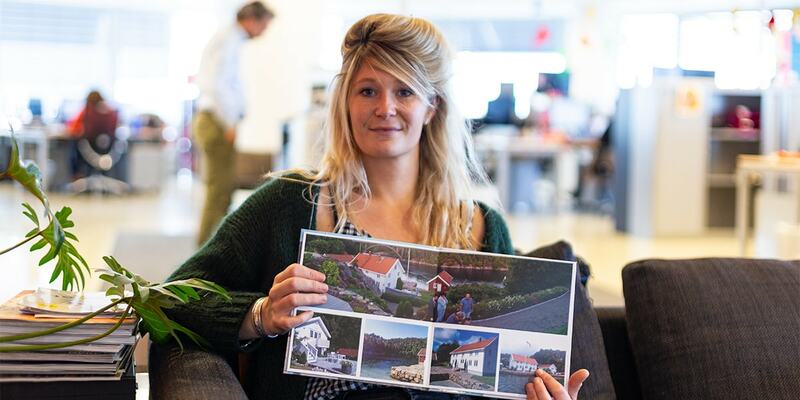 We’ve added lots of new layouts to our creator tool, so it’s never been easier to make your photo book look professional. You can even opt for auto fill and the creator tool will arrange your photos for you. The addition of some words to your photo book pages give it an extra special touch and will help you remember what you did that day. Don’t feel restricted to a certain number of photos per page. A collage like this is a great way to feature lots of photos on one page, especially nice for highlighting a single day. You can use manual or auto fill layouts. Use backgrounds and frames on your photos to make the colours in your images stand out. This French scenery looks even brighter with the addition of some simple frames. 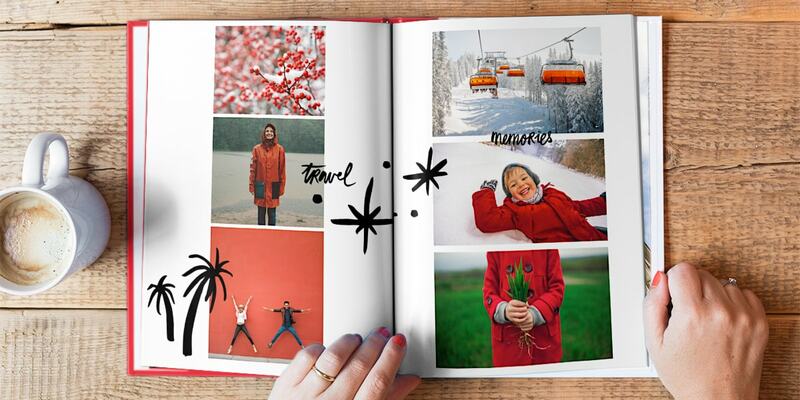 So whether you’ve just returned from a holiday or are planning one now, we hope you’re feeling inspired to create your own summer photo book. For more ideas head to our easy photo book creation guide or check out our photography tips to make your photo book look better than ever. What are you waiting for? Start creating.